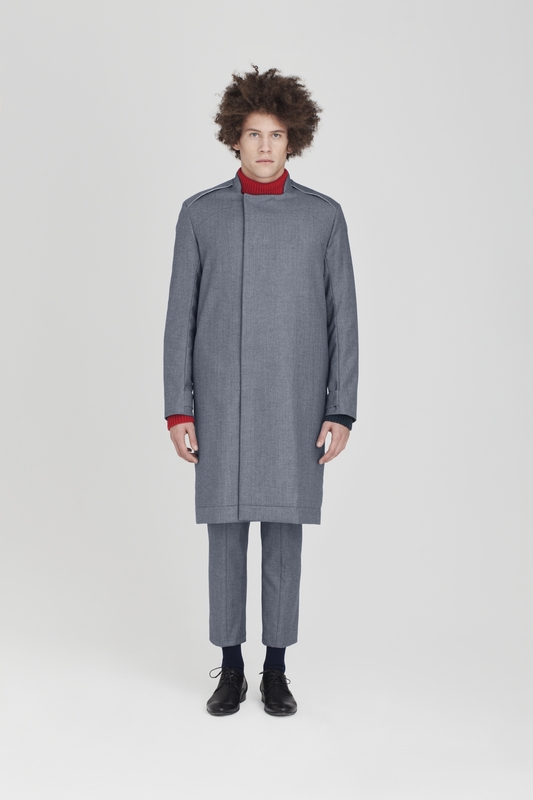 This coat is made from the finest new wool cotton mix with a textured finish. A standard fit, it has a small modern mandarin collar, a yoke in the front and the back. Lined in the finest cotton, it has 2 outer pockets in the sideseam, 1 inside pocket and a hidden press button fastening. This handmade knit jumper is made from a soft new wool mix. This structured knit jumper has long sleeves and a roll neck. A regular fit, it has ribbed cuffs and hemline. A tailored style, these tapered leg–trousers are made from the finest new wool cotton mix with a textured finish. Fastening with a zip fly, they have front and back pockets.